100+ Books in a Year Reading Challenge 2012 is hosted by Book Chick City. Last year, I set my goal at 60 books and I actually read 76. I think 100 is doable, because I got a slow start last year and I've been reading a lot more since I became a book blogger. 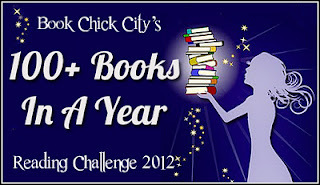 I think this is the 19th challenge I've signed up to participate in during 2012, so clearly I've lost my mind...what's one more challenge?? To track my progress in this challenge and all the other 2012 challenges I'm participating in, visit my Challenges page. Wow, I am impressed, that's an outstanding goal, good luck with it! I'm going with one book a week and no sign ups! Still new for me. Good luck with your challenge Marie!